I may never take these sandals off my feet, except maybe to climb in bed! Comfortable, as in ridiculously so! As a member of another website, I am one of the lucky ones that is given products to test from time to time in exchange for a review. 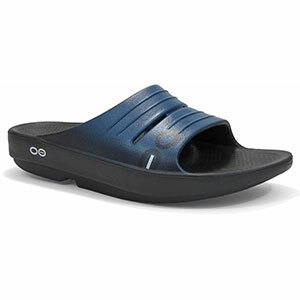 My husband, Hutch, and I each got a pair of the OOFOS OOriginal Sport Sandals and spent the last couple weeks hiking, cycling, and camping in them in the Finger Lakes region of Upstate New York. These are not your average pair of flip flops…they are amazing! We may never take them off. 1. Unbelievably comfortable! Designed as a recovery shoe but can be worn for just about everything from the shower to the campground to light hiking and cycling. 2. The toe thong is integrated into the sole, making them more durable and less likely to pull through/out. 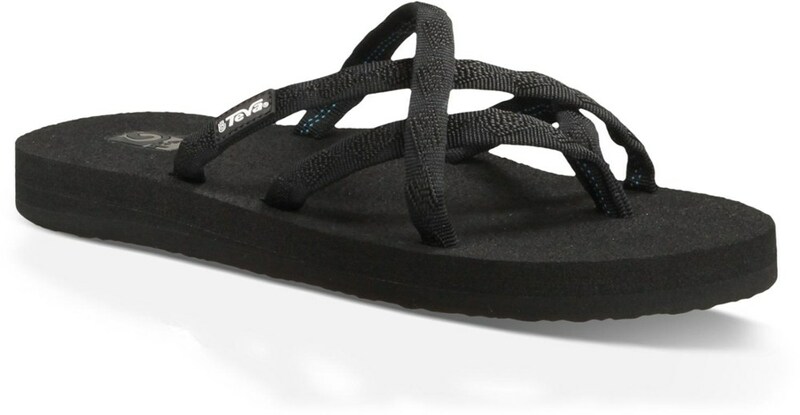 The rubber is so soft that it doesn’t irritate the area between the toes, even after walking in them for many hours. 3. Stylish! I wore them with a nice outfit and my feet didn’t feel underdressed. 4. They stay on your feet when walking in water. My previous pair of flip flops felt like they were coated in Vaseline when they got wet, but these sandals stay put. 5. They float, which is a plus if you lose them in the lake. Lose them in a river and all bets are off though. When people ask who makes them, it’s fun to say OOOFOOSS twice (because they never understand you the first time you say it). I can typically find some constructive criticism about the products I review, but these are our new favorite shoes. Maybe a few more color options for men would be a nice addition to the line? Overall, I have fallen in love with my OOFOS. They are great for day-to-day wear and amazing for recovery wear. The wide range of color choices means you can easily find a pair that will fit in with your style. As a member of another website, I get products to test from time to time in exchange for a review. On this trip, I tested the women’s OOriginal Sandal. 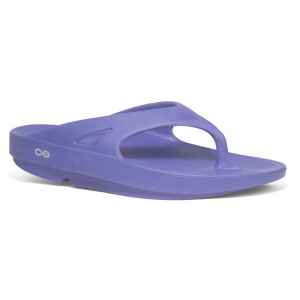 The OOFOS sandals (or flip-flops, as I can’t help but call them) are kind of amazing. They claim to be recovery shoes. I had NO idea what that meant until I had them. Basically, these are meant to be worn after any type of high impact activity such as running, hiking, or anything else that keeps you on your feet for an extended period of time. I’ve been wearing them daily for the last week. I’ve worn other shoes to work and then come home to my OOFOS...amazing. I’ve worn my OOFOS to work....amazing. I’ve gone hiking for a few miles then come back to camp and put on my OOFOS...amazing. These sandals claim to float and be washing machine safe. I did actually put them in the lake, and, thankfully, they do float. They aren’t so buoyant that you can’t walk in the water with them but they aren’t like trying to step on a boogey board. Bottom line is if they end up in the water they will float. I think this adds to the “perfect” checklist for any boater because who loves being out in the lake and losing their stuff!? I’ve also put them through my washing machine and they have come out the other side much better than when they went in. I have a High Efficiency set which often means “really” dirty stuff like these shoes won’t come out clean on the first wash, but these look pretty good! Also, there is no degradation of the material or the structural integrity of the sandal. I can’t truly tell you what the sandals are made of, but it’s a high density foam of some sort. They are soft enough that you would want to believe they are memory foam, but they don’t hold your shape when you take them off. The shoes are very supportive and when you take them off they instantly retain their original shape. They have arch support, which for me is often a bad thing. I generally have flat feet but the arch support on these is comforting and actually worth wearing. 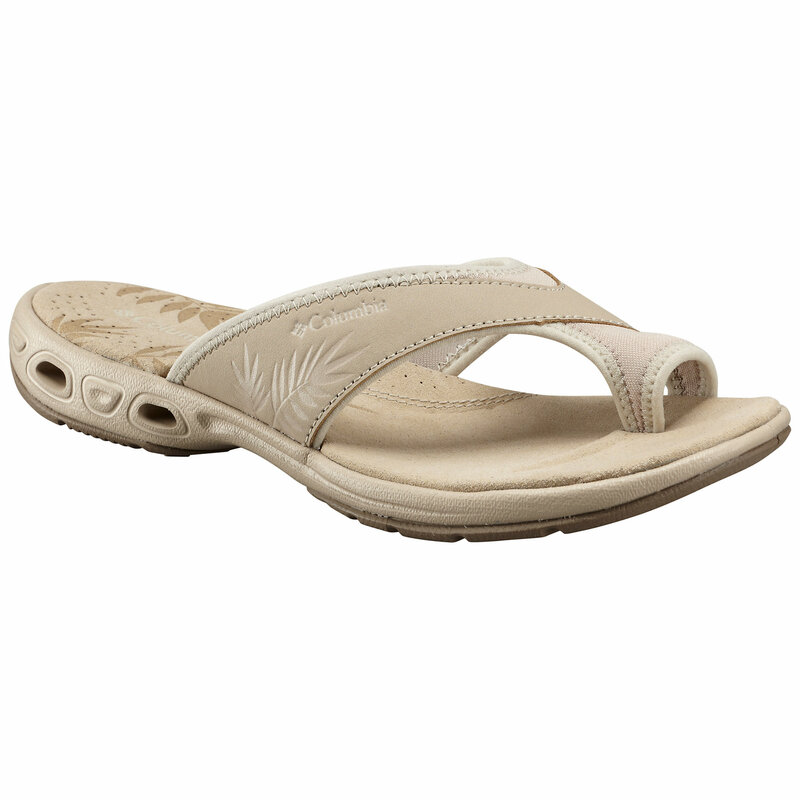 There is a pattern on the inside of the sandal which gives you grip when your feet are wet or slippery. 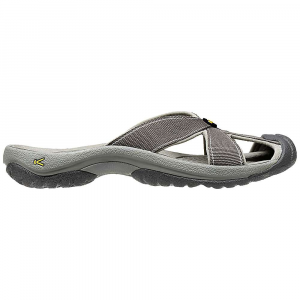 They also have tread on the bottom of the sandal that will prevent you from slipping in slick conditions. I wore them around camp for a few days and had no issues with the dirt, asphalt, pine needles, etc. Overall, I have fallen in love with my OOFOS. They are great for day-to-day wear and amazing for recovery wear. The wide range of color choices means you can easily find a pair that will fit in with your style. 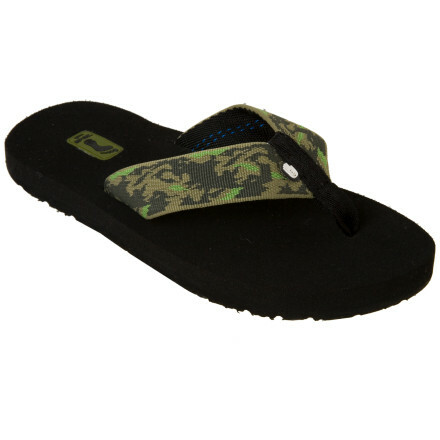 The foam is supportive and easily beats out any general flipflop for comfort in daily wear. I’ve used them after 8 hours of standing on hard wood. I’ve used them after 8 hours at the office. I’ve used them after 4 hours of hiking. And I’ve used them just because...and all of these are amazing.